NCTU Law Review is a peer-review law journal published twice a year, in June and December respectively. We welcome technology-law related articles, translated works, book reviews, and case reviews. Please note the category of your submission. NCTU Law Review operates a double-blind peer review process. All submissions must be reviewed twice. Authors will be notified of the result in due course. Works already published, in whole or in part, in another publication, will not be accepted. Please email your submission in .doc or .rtf format to techlrev@gmail.com. We welcome works in English or Chinese. Please give the title, author’s name, abstract and keywords in both English and Chinese. Do not hesitate to contact us if you need assistance in translating the above items into Chinese. Please limit your English and Chinese abstracts in 400 to 500 words respectively. Please keep the number of keywords in 5 to 8 words, and limit the length of submission up to 20,000 words. NCTU Law Review adopts bilateral anonymous review system. All submissions are subject to be reviewed twice. The results of review will be notified to the author in due course. 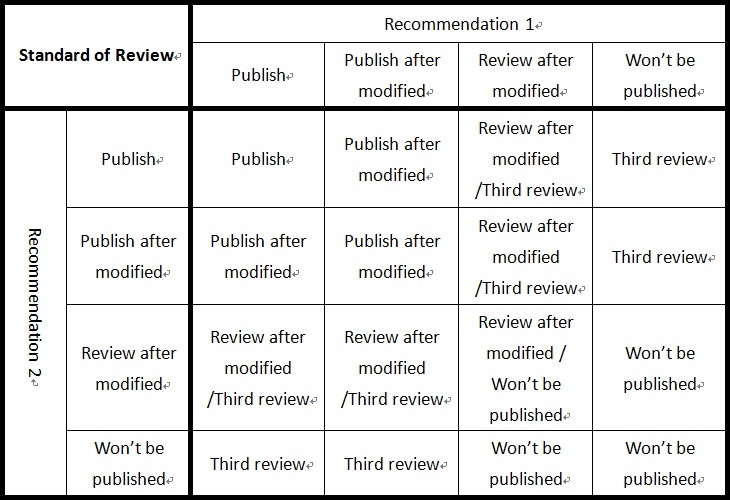 If there are too many words in the article or if the amounts of manuscripts exceed the planning of one volume, the Editor-in-Chief may moderately adjust the wording, the layout, and the publication order, according to the submissions’ involved fields and timeliness. Please format your citations properly according to the Bluebook, and provide bibliography at the end of your work. The author bears all the responsibility arisen from the submission. Any work involving plagiarism or simultaneous submission to other journals will not be accepted. NCTU Law Review does not have article processing charges or submission charges. For further information, including forms and templates, please click here. The author retains copyright for his or her work, and licenses NCTU Law Review to publish the work on its paper-base journal and website. With consent of the author, NCTU Law Review may further license the published articles to electronic databases chosen by NCTU Law Review. Such licensed-databases will have a non exclusive right to reproduce, to make public transmission, and to allow qualified users downloading or printing the articles via electronic means. The database may also change the format of the article should the database has any editorial needs. NCTU Law Review is an Open Access journal under CC BY-NC-ND.